AutoCell™ calibration-standard load cells with built-in instrumentation measure dynamic tonnage applied by metal forming presses. The AutoCell load cell is a self-contained, strain gage based load cell that is calibrated on equipment traceable to the National Bureau Of Standards. Standard digital AutoCells are available in 2,000 pounds, 10,000 pounds, or 50, 100, 250, 500, 750, 1000 and 2000 ton capacities. Calibrations and press checks are now quick and easy. It is no longer necessary to connect load cells to a portable instrument. The AutoCell is one compact, easy-to-use unit without extensive setup, additional instruments or cables. It is easy for anyone to place AutoCells into a press and get immediate tonnage readings for press calibration and testing. NOTE: This is a customized product and is not returnable. Please contact us if you have any questions regarding the suitability of this product to your application. There is a 5-8 Week Lead time after receipt of order. AC-2K AutoCell. There is a 5-8 week lead time ARO. Please call or email us for current production ti..
AC-10K AutoCell. There is a 5-8 week lead time ARO. Please call or email us for current production t..
AC-50 AutoCell. There is a 5-8 week lead time ARO. Please call or email us for current production ti..
AC-100 AutoCell. There is a 5-8 week lead time ARO. Please call or email us for current production t..
AC-250 AutoCell. There is a 5-8 week lead time ARO. Please call or email us for current production t..
AC-500 AutoCell. There is a 5-8 week lead time ARO. Please call or email us for current production t..
AC-750 AutoCell. There is a 5-8 week lead time ARO. 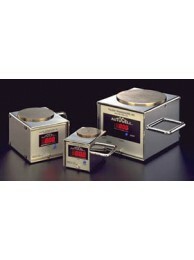 Please call or email us for current production t..
AC-1000 AutoCell. There is a 5-8 week lead time ARO. Please call or email us for current production ..